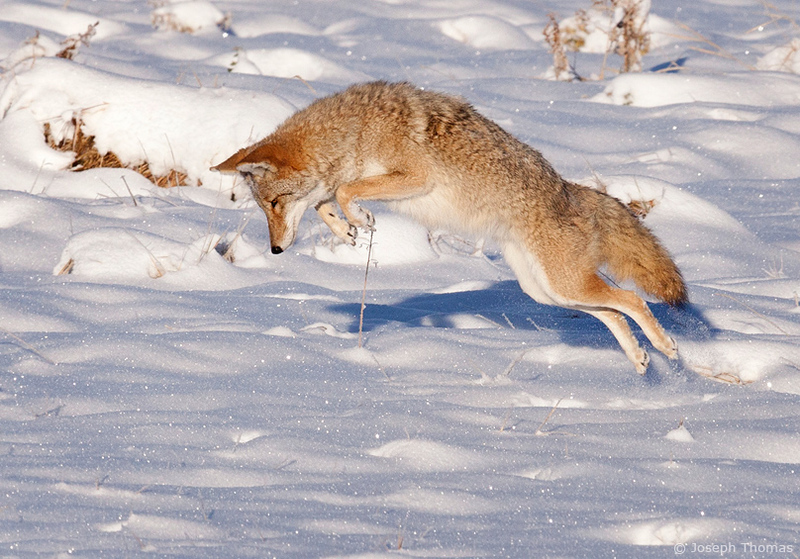 A coyote leaps into the air to pounce on a mouse hidden under a blanket of snow. The coyote somehow maganges to find the precise location of its prey with only its keen sense of hearing. On this morning the coyote dove into the snow about twenty times and came up with a meal every single time. Impressive accuracy!